Sometimes having an ND-Filter in front of the lens alone just isn’t enough to achieve the desired exposure times. In this case the solution is to switch to smaller apertures. But while this increases the exposure time it also introduces diffraction. 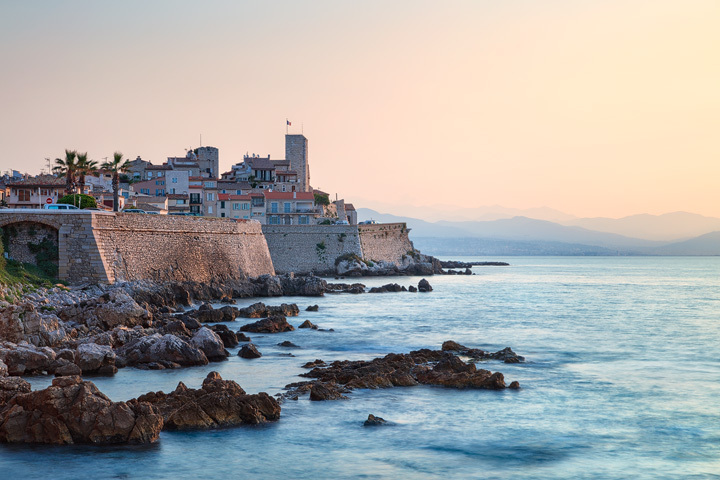 Take this photo of Antibes for example. I shot it at f/9,5 for very good sharpness and detail. With the Lee 0.9 ND Filter I was able to lengthen the exposure to 0.5 seconds. This wasn’t what I needed to smooth out the water though. I needed something between two and three seconds to get the result I was after. In the video below you will see how going from f/9,5 to f/19 smoothed the water but also drastically reduced the sharpness of the image. With the 50MPix Sensor of the Canon 5Ds-R I have to be very carefull with the F-Stops, at which I’m shooting. Below f/11 much detail will be lost. The solution is to take two photos and combine them in post, using the water from the photo taken at the smaller aperture and the rest of the image from the exposure taken at medium f-stop. As I also show in my other tutorials it’s often a good idea, to take multiple exposures of a scene using different camera settings. Changing ISO and aperture I’m able to get different exposure times and during post processing I can easily combine the photos to get the photo I want, but couldn’t photograph in one frame.